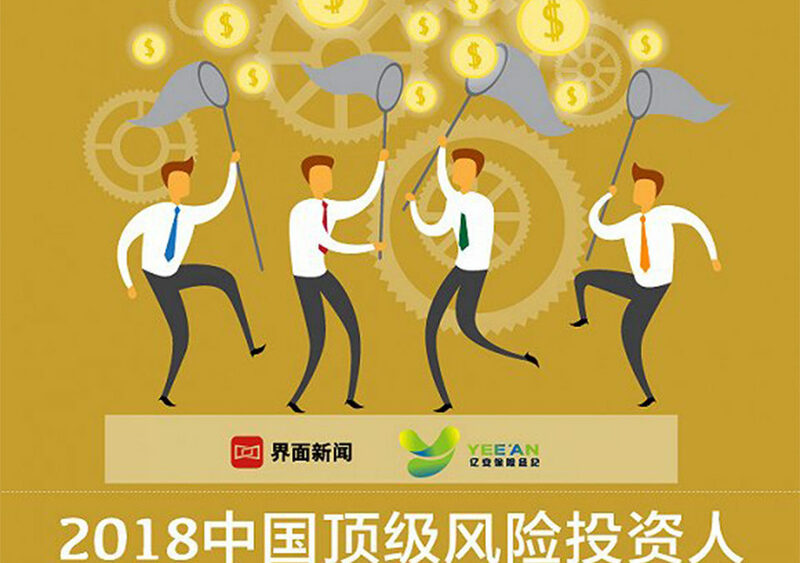 On November 22nd, Jiemian.com and Yi’an Insurance Broker jointly launched the “China Top Venture Capitalist” list for the second time. 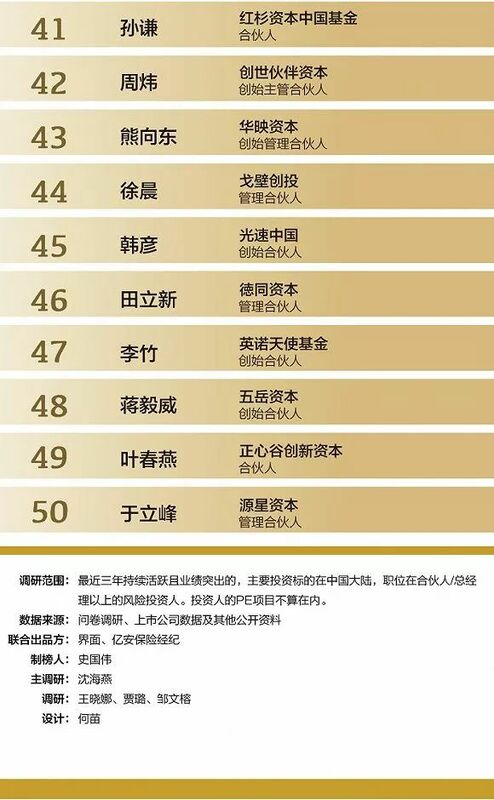 Jiemian.com selected 50 top-level venture capitalists by examining the new/active venture capitalists’ investment and exit projects over the past three years, based on their performance as well as participation and contributions in the investment project. Mr. Will Jiang holds a Bachelor’s degree in Electrical Engineering from University of Waterloo. He is currently studying for an EMBA degree at PBC School of Finance, Tsinghua University. N5Capital, co-founded by Mr. Will Jiang and Mr. Weiguo Zhao in 2013, is an active venture capital firm focusing on early stage investment in Consumer & Technology Convergence, fintech and digital economy fields. 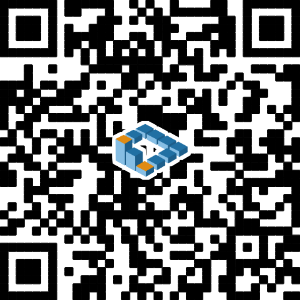 N5 now manages two RMB funds and two USD funds, with about CNY 4 billion under management. 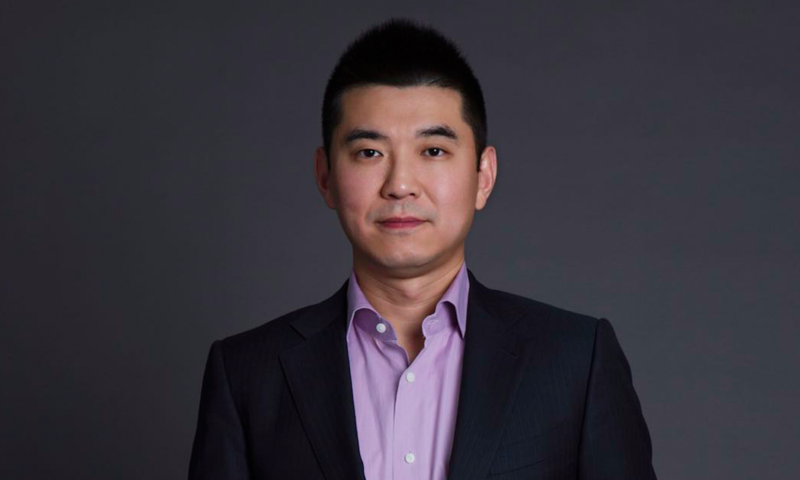 Prior to founding N5Capital, he held important positions in several large listed multinational companies, such as Dell and BlackBerry, responsible for strategic development, investment, mergers & acquisitions, and business expansion in Greater China area; he has extensive experience both in the industry and in the field of investment. He is also a dynamic entrepreneur and investor that actively offers professional advices to other entrepreneurs to help startups successfully pass through initial stage and growth stage; he is a tutor in Global Entrepreneurship at PBC School of Finance, Tsinghua University. Mr. Will Jiang focuses on investments in Consumer & Technology Convergence, fintech and content related sectors. Will Jiang’s investments include: TalkingData, Hot & Hot, 360 Finance, ishansong, etc. Portfolio financed by N5Capital have experienced high growth, become leading enterprises in their industries and brought great returns to investors.